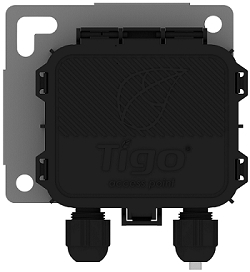 Tigo®, pioneer of the smart modular Flex MLPE platform, today announced the availability of its new Tigo Access Point (TAP). The TAP is Tigo’s new wireless device for communication between the Cloud Connect Advanced (CCA) universal data logger and the TS4 units - integrated (TS4-X), retrofitted/add-on (TS4-R-X), and retrofitted/add-on for 2 modules (TS4-R-X-Duo). Similar to the Tigo’s legacy Gateway product, the TAP is small in size with a wider range and increased module capacity. TAP is now shipping worldwide. Consult your preferred PV supplier, or contact sales@tigoenergy.com for more information.